create 360° spherical Panoramas, Motion Timelapses and more! 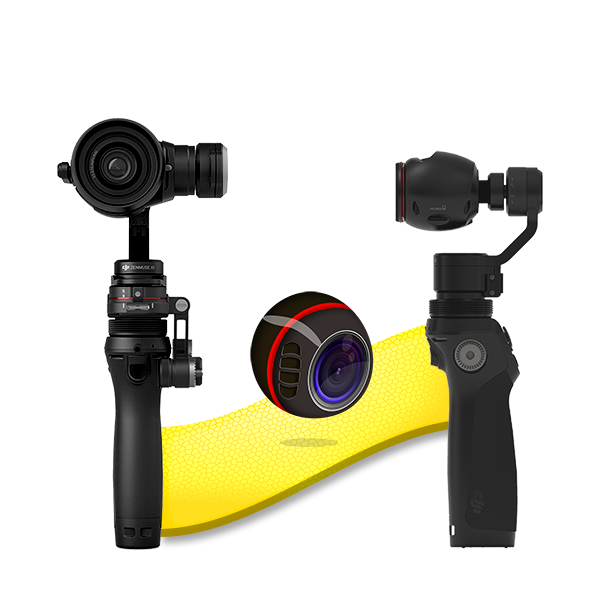 Compatible with DJI Osmo X3, Osmo Plus and Osmo Pro/RAW. Select the number of rows and photos per row and let Litchi handle the capture (Single/AEB/HDR are supported). Litchi will shoot a row at +30° below horizon, then divide the full pitch range (120°) equally by the number of rows. At the end, it will take 2 additional zenith pictures (not counted in the number of rows). With the X3 camera, we recommend using 4 rows and 8 photos per row for a 360° spherical panorama. Other camera/lens combos may require different settings. Once the shooting is complete, you will find the photos on Osmo's sdcard, extract them and stitch them using your favorite panorama stitching tool (Autopano, PTGui or other). Motion Control can be used to start controlled movements over a predefined period of time, ideal for smooth video recording and Motion Timelapses. and, depending on the selected mode, take photos at the preset interval (Timelapse) or record video (Record). In Timelapse mode, the maximum duration is 5 hours and the minimum interval is 2sec for JPEG and 10sec for RAW. We recommend stabilizing the timelapse in post using Warp Stabilizer VFX. In Record mode, the maximum duration depends on the start/end positions. To get the best results, use the "Optimize Start/End for duration" button which will automatically adjust the end angles. Save up to 5 Motion Control presets, which can then be accessed easily at any time using the presets button in the left button bar. Litchi includes grid lines, a histogram and all camera and exposure settings. Exposure settings can be found in the camera settings on iOS. For Android, tap on the exposure info panel at the top of the video preview. Touch and drag on the video preview to control the gimbal's pitch/yaw. Double tap to reset the gimbal position. When Metering Mode: Spot is selected, touch anywhere on the video preview to set the metering spot at that location. Long Press anywhere on the video preview to trigger autofocus at that location (Z3/X5 only). The camera must be set to Auto Focus mode.